The Settings module consist of various different settings of the software. The settings module is your one stop to all the settings you may want to access. 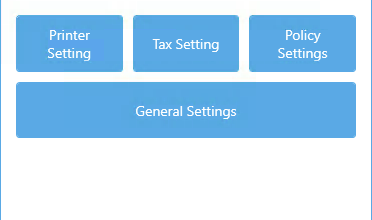 These settings consist of Printer settings, Store Policy settings, Tax Settings, and General settings.